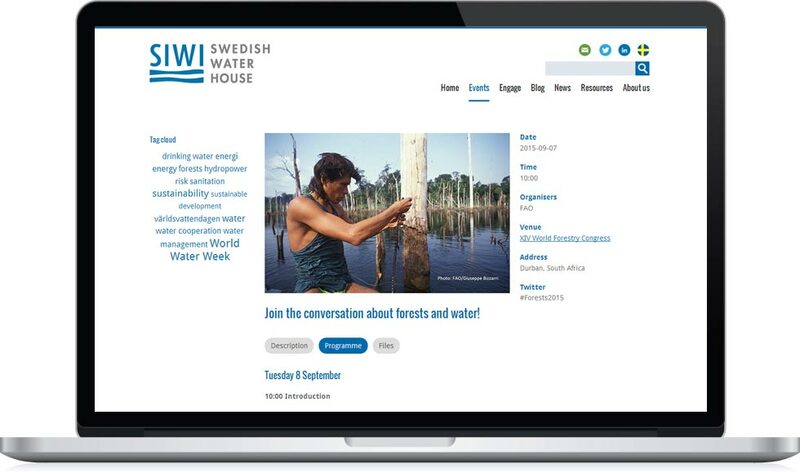 Established by the Swedish Government and part of Stockholm International Water Institute (SIWI), Swedish Water House works on international policy development and cooperation in the water and development sectors. 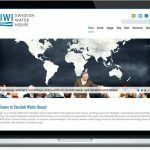 It aims to both broaden cooperation between different actors and stakeholders, as well as increase the sharing of knowledge. 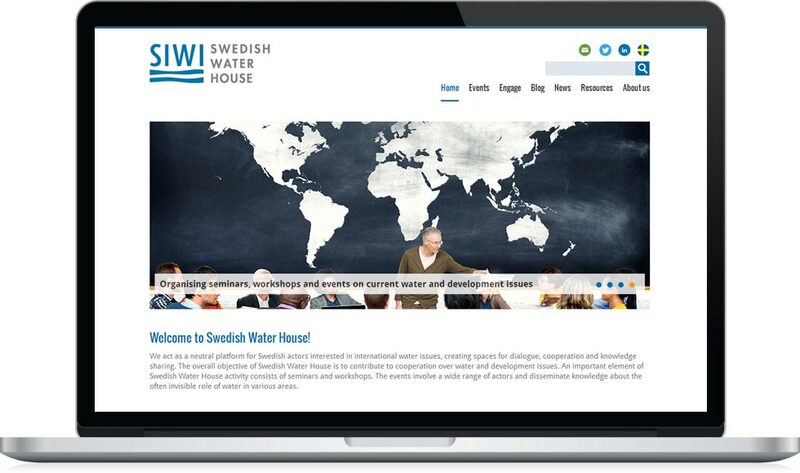 Having previously worked with SIWI, we were asked to redesign and rebuild Swedish Water House’s website. 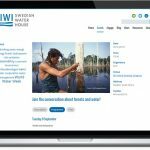 With a more contemporary design, we also helped migrate content from a legacy content management system into WordPress and develop a number of new functions.